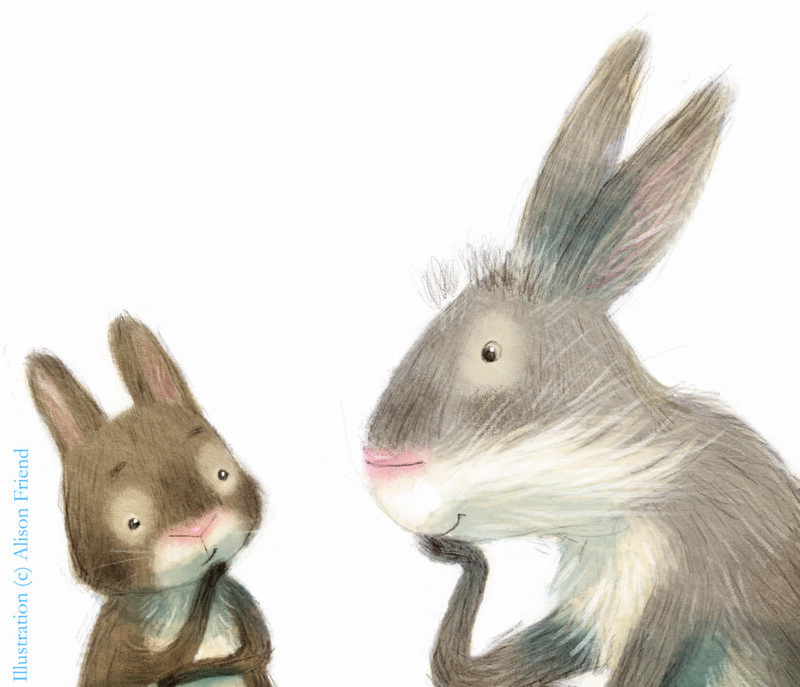 Alison is the illustrator of our latest book ‘Little Rabbit’s Big Surprise‘, published by Stripes. 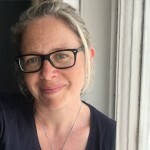 Her illustrations are utterly gorgeous and you will recognise her work from many books including ‘The Twinkly Twinkly Christmas Tree’ with Sam Taplin, ‘Bear’s Story’ with Claire Freedman, ‘That Bear Can’t Babysit’ with Ruth Quayle and ‘My Hand to Hold’ with Smriti Prasadam-Halls. Alison lives in the beautiful Lake District with her husband Mike, her son Cal and Border Collie, Blue. In her spare time she enjoys walking Blue in the fells, swimming in the lakes (when it’s warm!) and falling asleep during really good films. When I was told I would be working with Alison, I was beyond excited. Little Rabbit’s story is a gentle one and I knew Alison’s wonderful illustrative style would compliment the story perfectly. S: Hello, Alison! Thank you so much for joining me here on my blog. A: Hi Swapna! Thanks for interviewing me! S: Tell us a bit about how you got into children’s book illustration? A: I took quite a long route to illustrating children’s books. It’s something I always wanted to do but didn’t think it was possible. I did a fine art degree at Nottingham Trent University not really knowing how I’d make money from being an artist. I got a job behind a bar when I left uni – which I loved! While working the bar job I applied for a position as an apprentice stonemason for Nottingham City Council and got the job!! It promised to be as close to an arty job as I could get. I went to college in Weymouth to study stone carving and when I wasn’t at college, worked on Nottingham’s historic buildings. It was quite an experience. Good and bad! While I was doing this job I met my husband Mike and just over a year after meeting we moved to Seattle for his job. It was while I was in Seattle I got the opportunity to build my portfolio and thanks to Mike, pursue my dream of being an illustrator. I regularly sent postcards of my work to publishers and attended a few SCBWI conferences to try and network a bit. I got an offer out of the blue from Candlewick Press for a manuscript called ‘What Colour is Caesar?’, a reprint of a 1960’s story by Maxine Kumin about a spotty dog with an identity crisis! From there it was slow going getting more work but getting an agent helped a lot and for the last few years I’ve been able to illustrate full time. S: How did you get involved in the Little Rabbit’s Big Surprise project? A: Stripes Publishing got in touch with my agent and I read the manuscript written by a very talented author and fell for that little bunny!! It was such a lovely project to do and I was excited about the format, which, now I have the book in my hand, looks brilliant. Like a proper old fashioned little treasure of a storybook. S: It really is! The production is incredible and your illustrations are divine. What do you love illustrating the most? A: Animals. Animals. Animals. I’m a real dog person so they are a favourite thing to draw! When I was a kid I used to pore over animal encyclopaedias and draw the animals and write the facts about them. S: On the subject of the naturalist/naturist confusion, fifteen years ago, my husband (then boyfriend) got the two confused when he booked us on to a boat trip of the Marlborough Sounds in New Zealand. Needless to say, we spent two days on a nudist boat. A: That’s hilarious!!!! Did you join in? S: We chickened out at the last minute; it was a bit chilly to have our bits out but I’m sure it will make good fodder for a story one day! Speaking of new projects, what’s coming next from Alison Friend? A: A book with Nosy Crow about a Tiger who works in the city and wears a snappy pin stripe suit. A book about animals having crazy times in a zoo!!! That’s for Usborne UK. A book for Zonder Kids about a Rabbit, (yay, another rabbit), who wants to go to space. S: So excited to check all these new books. As an illustrator who has worked with many writers, do you have any advice for writers working with illustrators? A: Oooh this is hard, Swapna! I can only say what as an illustrator I appreciate from an author or in a manuscript: I think the big thing is to trust the illustrator to do their thing. Also trust the publisher to work with the illustrator and get the best from them. It totally depends what kind of book it is too. I mean picture books are all about that partnership between words and pictures and a good writer will leave room in the text for the illustrator to get creative. Sometimes fewer words are better and let the pictures bring a greater level of detail to the story. Sometimes illustrations can contradict the text, which can be really funny! Chapter books are a little different I guess – more detail and description in the story and less illustration. Thank you so much to Alison for chatting with me. 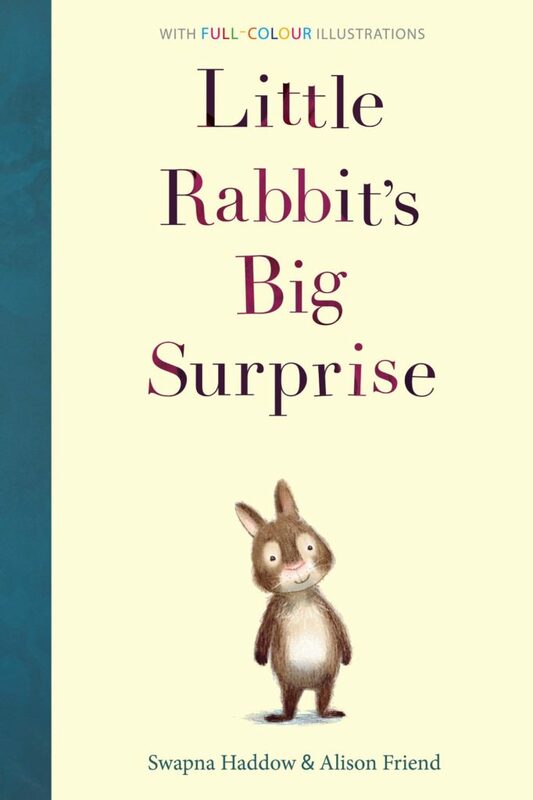 It’s been an utter joy working on Little Rabbit’s Big Surprise and the final books are gorgeous. I can’t wait to see our Little Rabbit hopping on to shelves next month.